Contact us at insight@energy-cg.com to find out how we can help you. Alternatively, we can set up a complementary SKYPE consultation. We know the E&P industry: We have experience in all phases of the upstream industry, including exploration, major project developments, market fundamentals, and new technology development and deployment. Practicality: we believe a key and often overlooked component to strategy development is practicality, so our consultants factor implementation realities into the strategy crafting process. E&P Economics, Strategy, Oil and Gas Property Valuations, Reserve Quantification and Classification. Economic Valuation Assessment Lens-EVAL is our proprietary, industry standard, economic analytics tool, which we developed because we wanted a more flexible, easy-to-use tool than was then available in the market place. The analytical engine is integrated with the R statistical/graphics program to provide access to industry leading statistical tools for, among other purposes, performing stochastic modeling and Monte Carlo simulations. After all, some call shale plays statistical plays, and the integration of R and EVAL has proved insightful for this reason. R also allows us to output results into presentation quality, easy-to-interpret graphs and summaries, which in turn are printed into an easily transmitted format that can be read by smart phones, notepads, laptops, personal computers, etc. Essentially: print once, read by any. 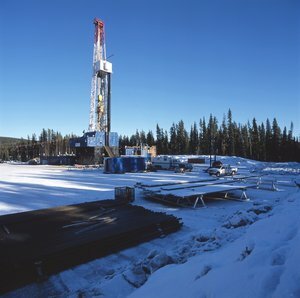 We have used EVAL to run innumerable evaluations of oil and gas investments of all types, including: light, tight oil prospects; shale gas wells; deepwater projects; LNG installations; and oil sands investments. Also integrated into the coding are modules to evaluate non-North American opportunities, such as those being developed under production sharing contracts (PSC). Our extensive economic analyses for clients has generated a broad and deep database of cost and well performance over time of all E&P settings, but especially for the onshore North American nonconventional sector. Here our data ranges from the earliest days of the Barnett shale play, to the most recent multiwell, multi-horizon pad in the Delaware Basin.